Why Choose Mounds View Family Dental? Our dental practice is devoted to restoring and enhancing the natural beauty of your teeth using conservative, state-of-the-art procedures that will result in beautiful, long-lasting smiles! The use of advanced technology allows our dentistry to be more comfortable, durable, and natural-looking for our patients. Using 3D digital x-rays results in safer, faster, and more accurate x-rays. Intraoral imagining also helps in locating existing or potential dental issues. Our dentist also utilizes Diagnodent laser cavity detection to detect the early onset of cavities. At Mounds View Family Dental, our dental team of dentists, hygienists, and assistants have years of experience, and have learned progressive techniques to provide a clinically advanced dental experience for all our patients. · A high degree of professional skill and ability. · Integrity to perform all services to the best of our knowledge and ability. · Development of a treatment plan and alternative treatments, while providing an explanation of the benefits and costs of each; so each patient can make an informed decision that is most optimal for them. At Mounds View Family Dental we try our best to provide all our patients with a stress-free and positive experience. Our insurance coordinators are ready to explain any insurance benefits and/or costs of treatments before beginning the treatment. We also offer an exclusive discount plan for those who are not insured. The Mounds View Famrily Dental discount plan includes two cleanings, three exams, and all necessary x-rays within a year, and an additional 20% discount on recommended treatments. Furthermore, we offer a variety of financial options that allow our patients to make payments up to 18-months interest free. Because of Dr. Sharara’s unique ability and experience in multiple dental specialties, you and your family’s needs can be met at Mounds View Family Dental. 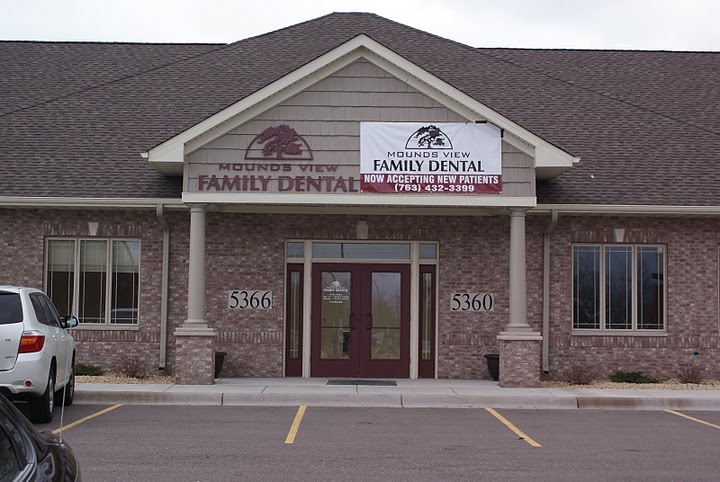 For a quality family dentist in Mounds View, MN, call our office today and schedule an appointment! THE MOUNDS VIEW FAMILY DENTAL DISCOUNT PLAN HAS YOU AND YOUR FAMILY COVERED!! Mounds View, Minnesota Dentist, Dr. Sabry Sharara is dedicated to family dentistry such as Exams, Dental Implants, Crowns and more.